This one-hour lesson is a very simple introduction to the sport. We will teach you the basics so you are comfortable with preparing and using the board. The course also covers the safety rules. You'll go in the water and try to stand and paddle. This lesson is for people who are already into the sport but want to improve in Flat Water or on the Waves. We'll first assess your level and discuss with you the essential skills you need to further develop as well as the skills you want to acquire. This private SUP lesson provides the best condition to learn stand up paddling or improve your skills. Depending on your preference and current level, the lesson will take place either on flat water or on waves. The lesson may take place in one day or be split across two days. Salty water runs on our veins!!! 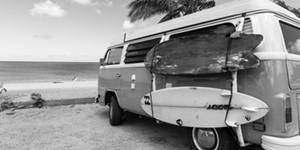 If you really want to learn or improve your surf skills, here we are. Our surf school offers you lessons for all levels and ages, from beginners to advanced. Kiteboarding: From zero to hero in 3 days! This full course combines IKO 1, 2 levels and a day of practice. It's suitable for people with no kiteboarding experience, taking you from complete beginner through to independent kitesurfer. Ricardo was born in 1973 in Lisbon. Since he remembers to exist up to 12 years old, he considered himself an Ericeira local, where his parents had and still have a house. With this childhood, the passion for the sea and especially for the waves was born, starting to surf very early. Practiced tennis professionally from 6 to 14 years, leaving it in the meantime for his great love, the waves! Graduated in Product Design at the Technical University of Lisbon. During his design graduation, starts working with his father, a famous Portuguese Architect, and together open a design firm. After nearly 10 years, decides that his future would be definitely by the sea and moved to the Algarve where he founded South Adventures in 2004. Since then, works very hard to keep what is one of the biggest national and international references in teaching kiteboarding, stand up boarding and surfing. At the end of the 2012 season, he moved back to his beloved city of Lisbon, bringing South Adventures, project that keeps and takes care with all his energy, professionalism and commitment.